National cryptocurrencies: decentralised centralised networks. Madness? I can’t believe I am about to say this, but I miss the days when we had to explain to people what Bitcoin was; the days when we spent most of our time reassuring government and banking grown-ups that the technology underpinning Bitcoin can and should be a separate conversation to their feelings regarding a decentralised and non-government-issue transaction method. What happened to all those explanations? Because although everyone seems conversant in DLT these days, somehow, some fundamental facts seem to have been forgotten as if they were immaterial. Is this what you get, if you allow the PowerPoint brigade to come up with use cases? Is this what “a little learning is a very dangerous thing” was referring to? Details matter. Ideas matter. This is a wake up call. Or a pedant’s lament. Bitcoin was a transformational movement. It was revolutionary in terms of what it actually was, how it delivered itself to the world and – and this matters boys and girls – it was revolutionary in terms of how it perceived itself. It was not just transformational, it was actually meant to be rebellious. Bitcoin was all about generating a method and mechanism of standardised exchange that could be transparent, constant, trusted and yet totally independent from government issuance and monetary policy constraints. Whatever your feelings towards this fact, you cannot and should not square that circle. Bitcoin-backed exchange-traded funds (ETFs) don’t sanctify Bitcoin any more than a horde of banks blocking their customers from using their payments products to purchase Bitcoin condemns it. We are smart people, surely we can operate with some degree of complexity. And not just where it suits us. I have no time for people who spoke of their Bitcoin “investments” in terms of alternative asset allocation and then were shocked that Coinbase is in conversation with the IRS. Given that regulators are increasingly looking at conduct rather than systems or assets, the surprise is either feigned or a sign of a deeper lack of comprehension that I will not delve into here. One pedantic lament at a time: I have a bee in my bonnet and this time the bee is buzzing “what nonsense” every time I hear talk of national cryptocurrencies. The national cryptocurrency rumour mill is on fire: Venezuela, Russia, Brazil, China, India, Turkey – not to mention whispers about a number of other countries. Depending on your politics, this is seditious talk that would give rise to new power constellations as well as undermine the dominance of the dollar currency peg. This could revolutionise access to global FX markets, or it could be a refreshing change of conversation for struggling economies with access to natural resources (with ideas like the Petro oil-backed currency floating about). You may talk about how global sanctions would change as a result of this, or how traceability of all financial transactions would help tackle terrorist financing and money laundering, not to mention holding big financial institutions to account. None of this is incorrect. In fact, the pundits celebrating a new era of regulation and monetary policy roll-outs through these national “cryptocurrencies” are totally right. And couldn’t be more wrong. Having reassured decision-makers they can have distributed ledger technology (DLT) without Bitcoin (fact), and the full transparency of a blockchain without the dreaded know your customer (KYC) defying anonymity (fact) we left them unsupervised with management consultants for a bit too long (even you Ajit). If you have a better explanation for how they got to the absurdity that is a national cryptocurrency, I will, of course, hear you out. But from where I stand this looks like old world voodoo dressed as new world magic and it just doesn’t work. Let’s be clear: the benefits described and celebrated above are real and can be obtained by leveraging a digital currency underpinned by a distributed ledger, even going as far as replicating a proof of work validation mechanism, decoupled from any monetary reward, and a set of data blocks resembling a Blockchain so much that they are indistinguishable to the naked eye. And yet they are not the same. Crypto literally means hidden. 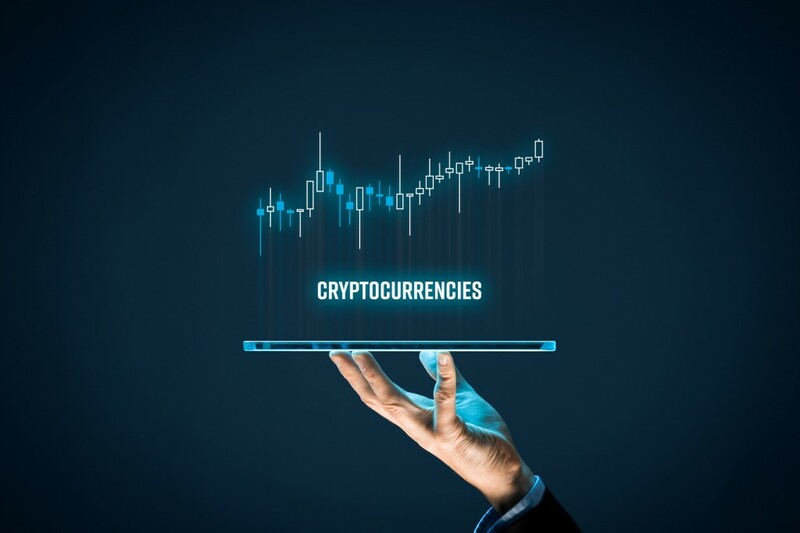 A digital currency may require a lot of the same algorithmic validations, encryption expertise and exchange protocols as a cryptocurrency but they will never be the same thing. Pedantic? Perhaps. But stay with me here. Crypto is by definition decentralised. I know infrastructure considerations don’t always make it into the PowerPoint – to be dealt with later and all that – but this matters. Crypto at its core, is about decentralised platforms as a way of building internet services, including but not limited to value exchanges. And as if this wasn’t enough, crypto is about community-owned networks that engineer access points for creators, businesses and business writ large. A state-issued and backed digital currency cannot be crypto, even if it looks like it on the surface, because the whole point of government is that there will be a certain degree of centralisation and the infrastructure will not be community-owned. And I am not saying it ought to be (that’s a separate conversation and this is a pedant’s lament, so we stay focused on one gripe at a time). But I am saying that by definition, it won’t have any of the core philosophical traits that define “crypto”. Crypto operates to a different vision of humanity and society. It seeks to serve the man – gender agnostic – not the Man. It is for the individual and for the community, not a tool of corporate and governmental centralisation. Sure DLT can be leveraged to serve a centralised purpose. But don’t call it crypto. Because it isn’t. A rose may smell as sweet, even by any other name, but the same does not hold when we are looking at deploying new capabilities with transformational potential tantamount to the discovery of fire, moveable print or gunpowder. Words matter. Meaning matters. Conflating terms may save space on a PowerPoint deck but it obfuscates the choices that are actually being made. It tries to fit the new world into the mould of the old – when the “how” of the build came last, after the business or policy purpose had been locked down. And I genuinely don’t know if this is an honest yet potentially catastrophic mistake or a fully conscious, calculated move that moulds the world with silent a priori choices, the equivalent of building a complex castle on a plot of land and then asking supposed decision-makers to choose curtains for the kitchen window as if all the rest was a non-negotiable given. It sounds absurd and yet that’s what we do, in offices around the world, every day. And I can hear the accidental castellan’s sneering remark: a whole article on how it’s not actually crypto, but rather DLT-powered digital currencies? Potato, po-tah-to. It’s not about terminology. It is not even about the technology. It is about an entire industry – and its government-side Governors – reaching the end of the era when decision makers could be briefed adequately in the space of 30 slides and then could be trusted to make choices that would set the tone and direction, leaving the execution detail to people who could deliver without derailing the intent, doing stuff the seniors would never need to understand. So here we are, standing on a podium talking about decentralised centralised networks. Madness? That’s what a national cryptocurrency actually is. If you still think that’s simply semantics, then there is little I can say to make you understand. But the chances are, if you are still reading, you get it. If you are still reading, you know that what was rebellious about the early days of Bitcoin was not just the transaction taking place outside government-issued parameters without actually breaking the law. The true rebellion was the infrastructural democratisation it required to even function. Maybe we did too good a job reassuring senior decision-makers that DLT can be leveraged without Bitcoin. Although it is undeniably true, it is also not the full truth. A different way of designing internet services of all kinds is now real. It is community-owned, decentralised and democratic. Although it still has to overcome challenges big and small, around free-riders and carbon emissions, around change management and performance scalability; although there is a lot of maturing and growing up ahead of us, the genie is out of the bottle. The enlightenment was not linear and neither is this. So maybe we made a mistake, back in those early days of explaining: we reassured too much. Maybe lesson one should have been: this changes everything, you can use it, you can control some of it but, before understanding where you can benefit, first understand where you will no longer have the power to say no. It may change the choices you wish to make now and the kind of building you want your carefully selected curtains to hang in. I may be a pedant, but I’d rather talk about castle vs treehouse before we start decorating. But then again if you still think national cryptocurrency, the decentralised centralised wonder, is a terminology issue, then choosing curtains is about as taxing as you can handle and it’s no accident after all.